Peter Kasaija is a Research Associate on ESID’s research on urban pro-poor programming in Uganda, with Diana Mitlin and Sophie King. The research project is a partnership between ESID and the National Slum Dwellers Federation and its support NGO, ACTogether. 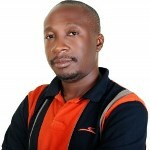 His main research interests include informality, governance and climate change adaptation in Uganda. He is also currently engaged with the Urban Action Lab (UAL), an initiative under the Department of Geography, Geo-informatics and Climatic Sciences, Makerere University, which is undertaking research work on green/renewable energy, heterogeneous infrastructure and disaster risk reduction (DRR). Kasaija, P. and Lwasa, S. (2014) ‘The Role of Civil Society Organizations in Shaping Adaptation Capacities of the Urban Poor in Kampala, Uganda’, Urbanization and Global Environmental Change: Exploring Local Solutions to Global Challenges, Issue 10, pp.13-16.